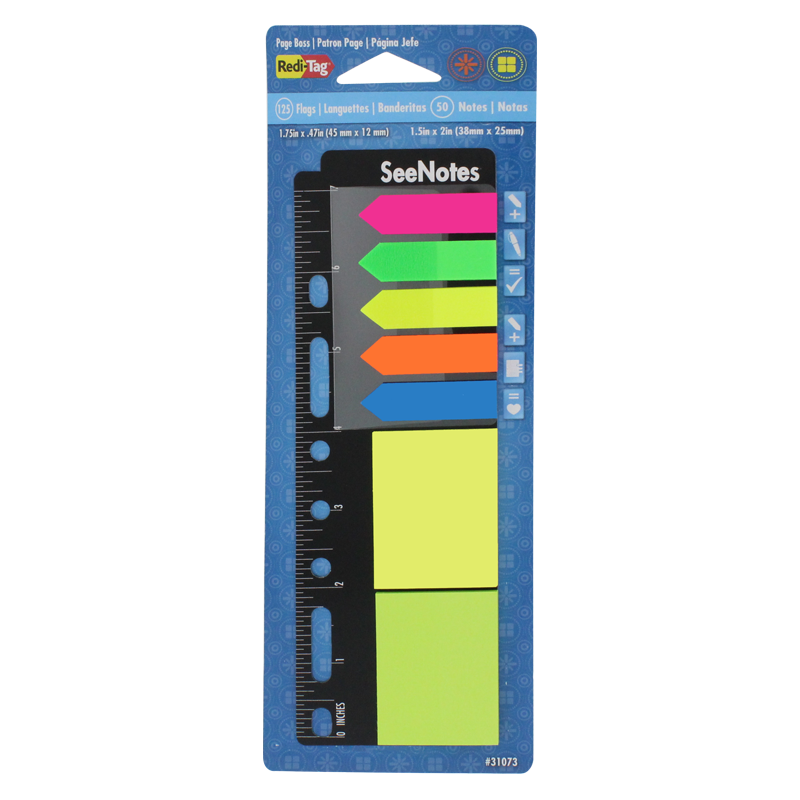 Keep see-thru film arrows and neon self-stick notes at your fingertips -- wherever you are! Fits into 3-, 5-, or 6-ring binders and planners and has a handy 7-inch ruler to help measure up the situation. Use to flag and make notes while reviewing files and reports, studying text books, or flagging catalogs or recipes. 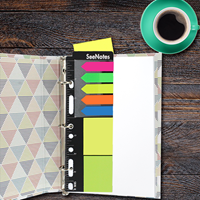 Slip the page manager into purse, briefcase, backpack, or planner and bring the office with you. 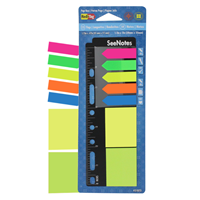 Note size: 1-1/2" x 2"